Instagram is far and away the most popular platform for influencers; between its business friendly UI and its ever evolving suite of features, the platform is ideal for creative influencer content. Its most recent rollout, Instagram TV, offers long-form video content a la YouTube, but optimized for mobile users. It even adapts for vertical video, something YouTube only rolled out this past week despite years of user complaints. While Instagram can't (at least at the moment) compete with YouTube's arms race of quality content and cults of personality, it does offer a broader suite of advertising options for brands and influencers alike. From its e-commerce options to its rapidly expanding userbase, so much about Instagram is attractive for advertising. However, what Instagram can do best for Influencers, beyond the expected, are its live streaming options. The 24 hour ephemeral stories, either in static or live form, have successfully added to the time users spend on the platform. You may have heard the stat that the average user spends between 24 and 32 minutes on Instagram per day, which is almost a direct consequence of the expansion of stories. Brands can leverage influencers and their story content for expanded engagement and audience interaction—especially Instagram Live. Instagram Live for influencers can take the form of anything from a Q&As, live vlogs, story takeovers, or even event walkthroughs. Sponsored live videos offer an added sense of connection and engagement with their viewers, by showing an unfiltered (albeit planned) view into an influencers life, without any post production or predicted outcomes. Shopify, for example, routinely features influencers live streaming their headquarters or showcasing their stores on behalf of the brand. The evolution of interest in live streaming can be linked to several factors: the decline in cable TV viewership for the primary demographics of social media, the democratization of access to technology, and the ubiquitousness or social media in modern life. Live streaming is both the logical end of easily accessible video content and the biggest thing in social media right now. Twitch, the video game streaming platform whose userbase grew by 197 percent in 2017, is the current reigning king of live streaming content. Twitch, though still relatively new to the social media game, reels in roughly 2 million viewers a day, and it has surged in popularity over the past 3 years. While the content is primarily gaming related—which is certainly a monolithic enterprise in itself—the ever increasing popularity of the IRL section is telling both of the success of live streaming as a form of content as well as the applicability of the format to a variety of topics. 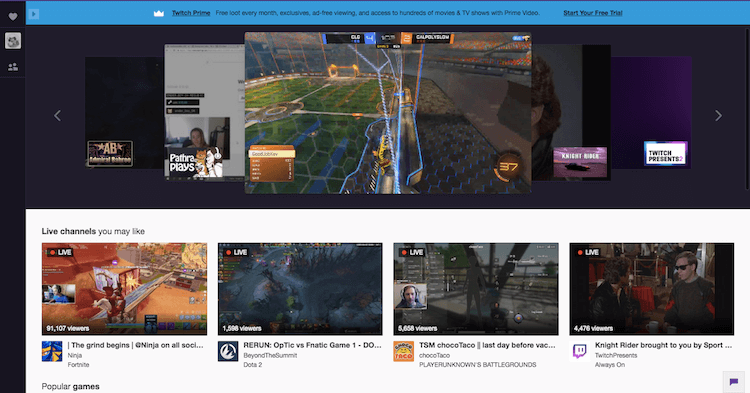 In addition, brands have taken to creating their own Twitch pages to stream tailored, sponsored content to the front page. Given the passivity of Twitch content consumption, it's a no brainer for marketers to consider using influencers to plug their brands or simply doing it themselves. Instagram Live's rapid expansion is further proof of the viability of live streaming as an advertising platform for influencers. Consider it the modern replacement for TV: idle viewing of interesting, pointed content pertaining directly to the interests of a demographic–from the audience itself. Does your brand or agency use live streaming as a form of influencer marketing? Continue the discussion by following us on Twitter, Facebook, or LinkedIn.